made in 1970 for the Tokyo Expo. 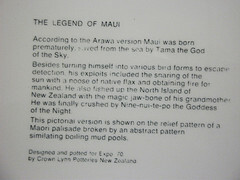 Another Maui myth centrepiece for Expo 1970. The Legend of Maui on the back of the platter. Mine don't have the description on the underside. I am wondering why mine don't have the story on the bottom. 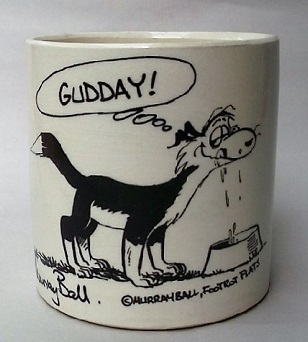 Is it perhaps that they were actually used in the Geyser Room restaurant as opposed to being a souvenir plate? That's a good question minceandcheese and I hope that someone responds who has one without the words. 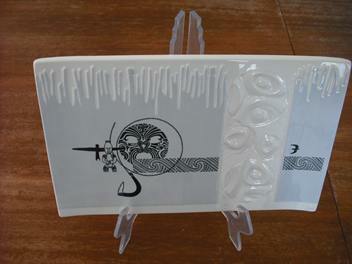 We have had two of these plates either had the story on the back just the expo 70 stamp.